Adapted from the Anime version of 1995, Ghost In The Shell's plot is near-identical to that of Robocop but lacks the satirical edge of Paul Verhoeven's classic subversive sci-fi. It comes across more like a hybridization of Blade Runner and Mission: Impossible as the unit of cyber-enhanced agents battle robotic assassins through the neon-soaked, bustling streets of the near future. Despite the cutting edge effects, the Manga-based setting actually makes it all feel strangely dated as it takes all of its cues from sources of the 1980's and 1990's and Clint Mansell's effective score plays off this fact nicely giving it an almost future-retro feel. The high octane action is handled well, although the cinematography often feels rather sterile compared to the atmospheric tech-noir of its inspirations. 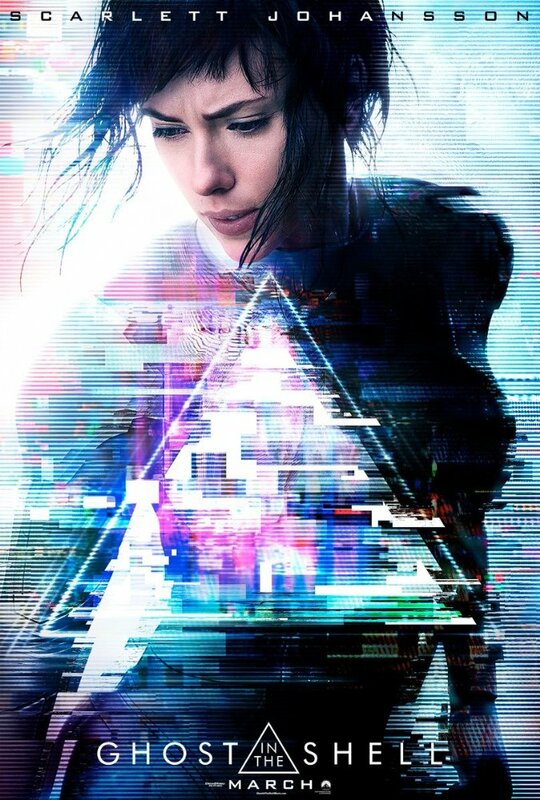 Scarlett Johansson's clearly conscious decision to carry herself in a rather robotic manner backfires somewhat as she often looks more like a stroppy teenager than a hi-tec assassin but the multi-national cast are always watchable and although the dialogue feels a little stilted, it's still a cut above that of the average Hollywood action film. Ghost In The Shell suffers mainly for the obvious comparison to Denis Villeneuve's Blade Runner 2049, the main distinction being that Ghost In The Shell is a good action film, while the sequel to Blade Runner is a good film full stop.